Woodguard is a wood structural building material that outlasts conventional untreated wood and replaces wood treated with prohibited substances. It’s more cost effective than wood, vinyl, steel or concrete products and requires no maintenance or painting. Even the most durable species of wood deteriorate from insect and dry rot decay. 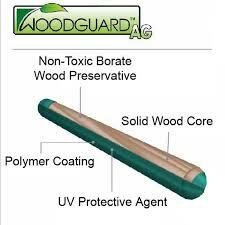 Now you have an economical alternative with Woodguard made with a non-toxic, inert borate compound to protect against these threats. 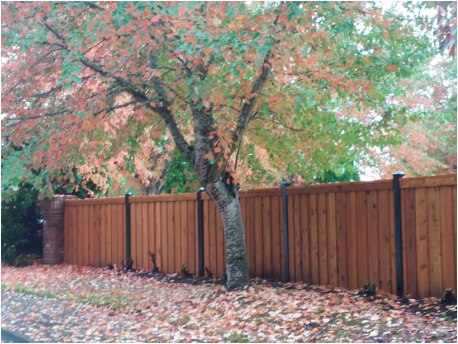 After treatment, our wood is then coated in an engineered, UV-stabilized plastic blend that gives Woodguard its superior strength, life span and durability. · No Painting, No Splinters, Checking, Warping, Decay or Rot. 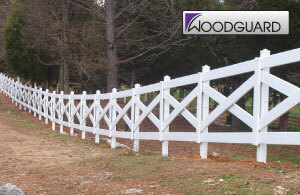 · Outlasts Treated & Untreated Wood. · Fast and Simple Installation. Same as regular wood. Flat Caps: 4x4, 4x6, 2x6 – White, Black and Cedar colors. Beveled Caps: 4x4, 4x6 – White, Black and Cedar colors. Button Caps: ½” rounds – White, Black and Cedar colors.